A rain-interrupted session saw Hashim Amla lose his wicket, before the Proteas crept up to a 66-run lead by lunch on day four. It’s been a session of New Zealand not taking their chances, as JP Duminy was dropped at slip on seven, before surviving an lbw decision that would have been out if reviewed when he was on 20. Then Dean Elgar was dropped on 35 at the stroke of lunch. 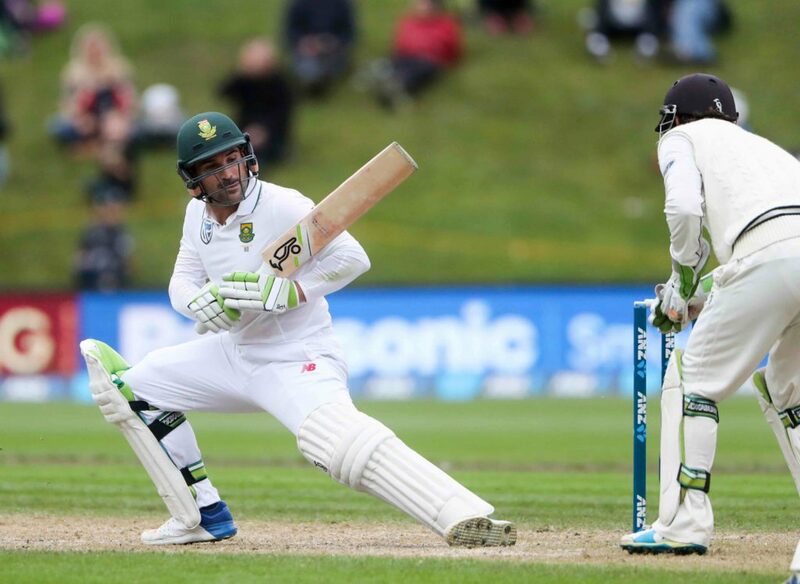 The important thing for the Proteas is that, despite riding all of his luck, Duminy is still there on 32, accompanied by a determined Elgar, who is on a watchful 40. The Proteas are on 100-2, which is essentially 66-2. The two left-hand pace bowlers Trent Boult and Neil Wagner bowled excellently in the morning session and were unfortunate not to get more reward for their efforts. In between a delayed start and bad light, Wagner saw off Amla as he mistimed a flick to send it straight to midwicket for 24. Despite the built-up pressure, the hosts simply couldn’t capitalise. 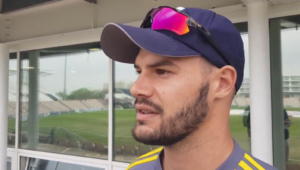 Duminy hasn’t looked comfortable, but perhaps this is the stroke of fortune he needs to return to form. New Zealand’s use of the Decision Review System has been poor and it’s cost them a wicket. First Duminy survived an unsuccessful review by Trent Boult, then Latham dropped a simple chance at first slip, and then Jeetan Patel squared him up, only for the umpire to remain unmoved. Replays suggested it was hitting. Elgar has looked in good touch for his knock, as he has done throughout the match. But this pair will need to push on from here and look to play positively to avoid getting bogged down, in what is looking like an increasingly decent pitch for the spin of Jeetan Patel.